Note: For those going back to education & moving off a social welfare payment. Click the buttons below to have further info on these funds drop down. This fund (which is not means tested) is available to undergraduates and postgraduates with disabilities studying in full time pubilcly funded courses which rank at level 5 or higher on the national qualifications framework. Please note that the following course types are ineligible - VTOS, Teagasc, part-time & private courses. It’s designed to cover many of the educational support requirements which students with disabilities may require to compete on a level playing field with their peers, for example note takers, assistive technology, personal assistants, learning support and more. It is not intended to cover disability-related costs such as medication or standard study-related costs such as books, stationary costs etc. Register with the Disability/Access service (or designated individual) in college by supplying them with medical documentation verifying your disability. The Disability/Access service carry out a confidential needs assessment with you to determine what educational supports you require to minimise the impact of your disability on your learning. The Disability/Access service apply for the Fund for Students with Disabilities on your behalf. The college receives the funding from the National Access Office and puts the supports you need in place. Students registered blind or visually impaired. Students registered deaf or hearing impaired. Students with a specific learning difficulty such as Dyslexia. Students with a mobility impairment. Students who have significant long term illness. Students with medical verification of any stated condition that affects their ability to study at third level. It’s important to note that this is not a direct grant to the student but is given by the Higher Education Authority to the Disability / Access Service of the relevant institution who then put the support in place for the student. Equipment provided under this fund remains the property of the third level institution. 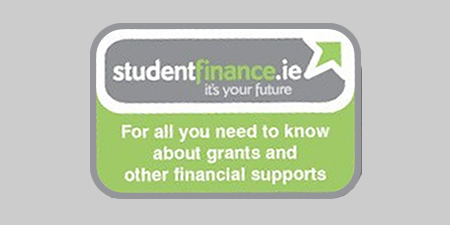 The student grant, formerly called the maintenance grant, is the main source of financial help available from the Irish State for students in full-time PLCs and full-time higher education undergraduate courses. Support is available to eligible students in most colleges in Ireland as well as eligible Irish students in many colleges in Northern Ireland, the UK and other EU States. For eligible students, the grant is there to help with the various costs of participating in further or higher education for example the college registration fees and subsistence. Family and/or personal income is a key factor that will be assessed when you apply for a student grant but there are also some other conditions. Students on part-time courses, access or foundation courses (in higher education institutions) and short courses are not eligible to apply for a student grant. Authorised by the Department of Social and Family Affairs, the Back to Education Allowance (BTEA) is an educational opportunities scheme for students over 21 years of age, unemployed people or lone parents currently on qualifying benefits. If a student with a disability wishes to avail of this then they must be in receipt of a disability allowance or another qualifying payment. The allowance can apply to those returning to education in second or third level. Back to Education Allowance is paid at a standard rate, so if you are currently receiving a reduced rate of payment, you will be entitled to a higher rate of the allowance. The Student Assistance Fund provides financial assistance for full-time higher education students who are experiencing financial difficulties whilst attending college. Students can apply for Student Assistance to help them with either temporary or ongoing financial difficulties and is designed for expenses such as books, class materials, rent, heating/lighting bills, medical expenses etc. The Student Assistance Fund provides a further source of funding for higher education students in addition to the Student Grant. Each year, the State allocates a certain amount of Student Assistance funding to all publicly funded higher education colleges based on the size of the college’s full-time student population. Students in need of financial support can then make application to the college for assistance under the Fund. The Student Assistance Fund is not available in further education/PLC colleges. Thanks to www.studentfinance.ie for permission to use much of the information on this page.